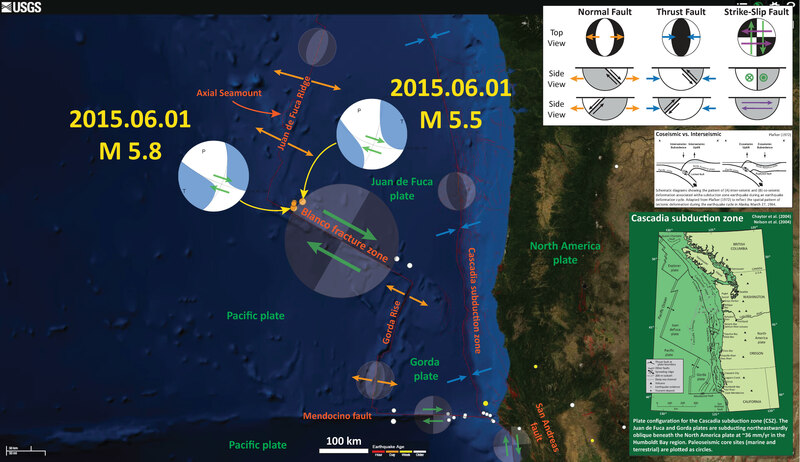 This morning we had three earthquakes related to the Blanco fracture zone, a transform (shear) plate boundary. These earthquakes occurred quite a bit north of the bathymetric expression of the BFZ (though the M 5.8 is actually plotting closer to the BFZ this morning), similar to the seismicity earlier this year to the southeast of today’s swarm. 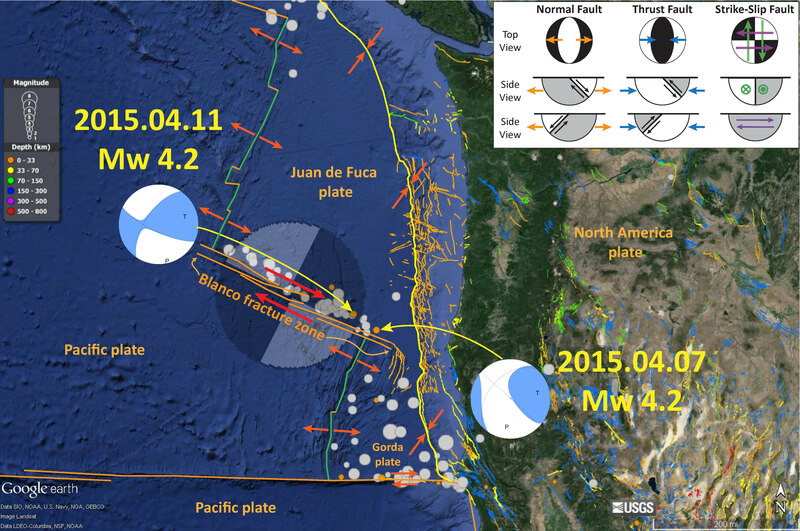 Here is a post regarding the seismicity along the BFZ in April 2015. Here is a version of the CSZ map alone (Chaytor et al., 2004; Nelson et al., 2004). Here is a map showing the BFZ seismicity from April 2015. 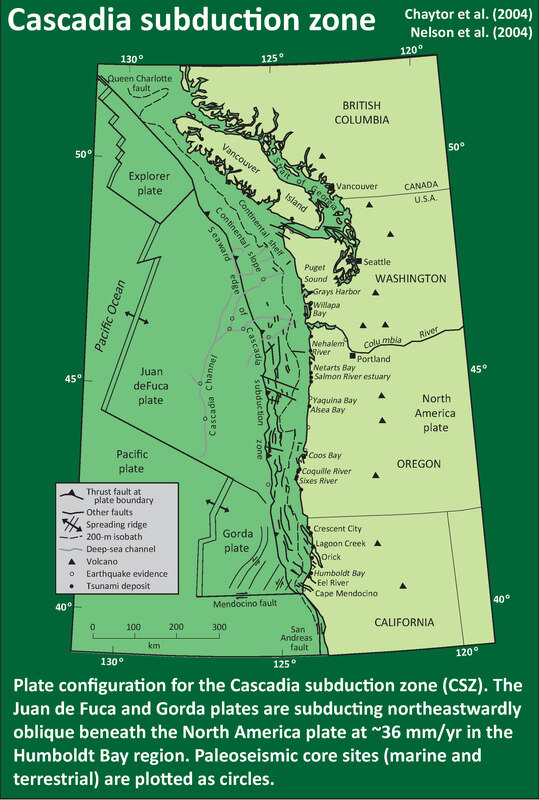 4 Responses to Blanco Fracture Zone Earthquakes! these small earthquakes probably do not affect the megathrust, individually. over time, they do… as plate convergence adds up. 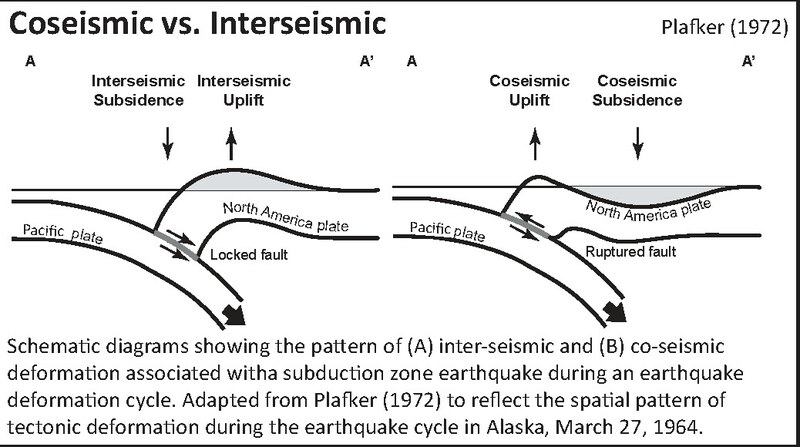 the stress changes along the fault from nearby earthquakes is very small compared to the stress required for the subduction zone fault to slip. plus, these earthquakes are at a great distance for them, at their magnitude, to affect the megathrust. Thank you for splainin to the nonscience types! I appreciate how quickly you post info. I have food, water and camping gear near the door and tend to keep my gas tank full. Hopefully that’s a good enough “go kit” I don’t want to ever need to use… I’m betting peeps west of me will have it worse..
yeah, you are far enough east that you will probably be fine! (power may be out…). sounds like a good go kit!